All children develop differently. Your athlete may excel in the younger age group for one discipline but blossom with the older kids for another. Our schedule is fluid. Your Taste of PBJ instructor can recommend a game plan that works best for your family. Yoga Stretch- ﻿Young yogis will learn self-regulation & relaxation skills while engaged in fun, active games. Picture books are often incorporated into each practice so that new poses become an extension of the story. Children are encouraged to discuss and embody positive values such as integrity, honesty, kindness, and restraint. Purple Hippo Red-As beginners, climbers will learn safe climbing practices. New climbers will be introduced to bouldering (low climbing without a rope) and top-roping. Climbing terminology and concepts will be discussed and applied in each class. Belay techniques and climbing gear will be introduced. Purple Hippo Yellow-Students will progress from In this intermediate level class, children will learn to choose appropriate climbs for their skill level. Projecting games (climbing a route repeatedly to work through difficult sections) will encourage perseverance and hard work. Climbers will learn to belay with assistance and start preparing for the belay test. Purple Hippo Green-Advanced climbers will take their climbing to the next level. Students will begin to sharpen and hone technique as well as build endurance. 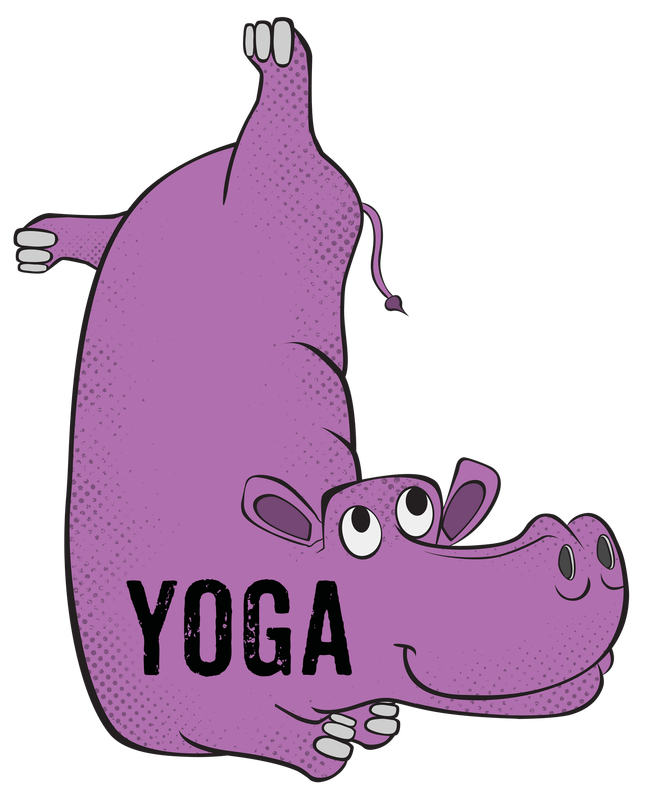 Purple Hippo 1-As beginners, students will learn to fully submerge their face and to float on their back. They will begin working on freestyle swimming arms and elementary backstroke. They will learn to swim to the wall if they were to fall in to a pool. Students will also begin rolling onto their back to take a breath. Purple Hippo 2- In this intermediate level class, students will progress to rolling onto their back without the assistance of the instructor. They will begin to learn the backstroke and should be able to swim the length of the pool with very little assistance. Purple Hippo 3-Students will progress from rolling over to take their breath to side breathing for freestyle. They will also learn the basics of backstroke and treading water. Purple Hippo 4-Students will begin working on full laps of freestyle and backstroke and be introduced to breaststroke. Purple Hippo 5- Advanced swimmers who are comfortable swimming on their own work on independent freestyle breathing as well as practicing all 4 competitive strokes. 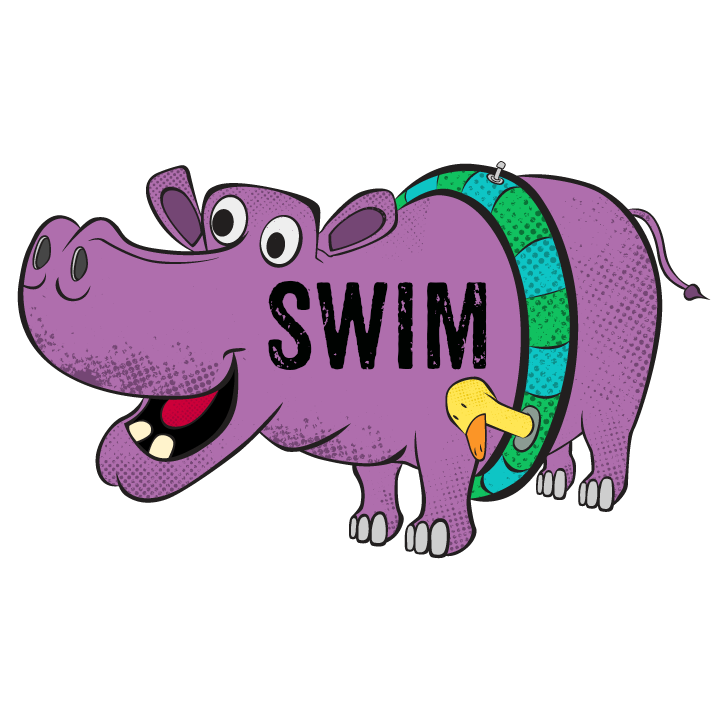 Purple Hippo 6- Swimmers will focus on competitive readiness by learning starts, turns, finishes and sprints. Private lessons are available for students who may need 1:1 attention. Your Taste of PBJ instructor can recommend the best fit for your child.